Confit is a cooking method whereby meat is slowly cooked in its own rendered fat. 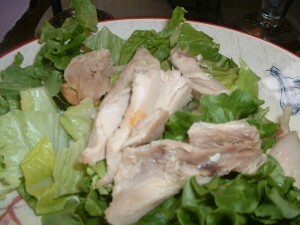 This chicken meat is fabulous in a salad, on a sandwich or taco, or over pasta. Save the oil that the chicken is cooked in for later use especially to roast potatoes. Preheat the oven to 295 degrees. Aggressively season both sides of the chicken legs with sea salt and ground black pepper. Place the chicken legs skin side down in an ovenproof pot with a lid. Place the rosemary and the garlic in the pot with the chicken. Add enough olive oil to slightly cover the chicken. Cover the pot with a lid. Place the pot in the preheated oven. Roast for five hours. Remove the chicken legs from the pot and let them cool for 30 minutes. Pull the meat from the bones with your hands discarding the skin. This chicken will keep for two weeks or longer in the refrigerator. 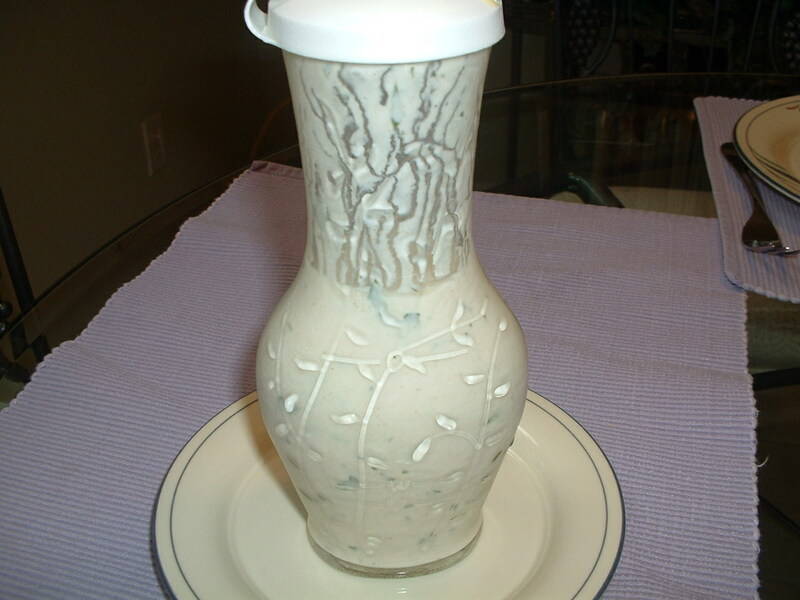 For best results, store this dressing after you make it in a salad cruet overnight before serving. Combine all of the ingredients in a mixing bowl. Whisk until well blended. Taste and add more sea salt and/or black pepper, if desired. This dressing is great on a green salad or as a dip for raw vegetables such as cauliflower, celery, carrots, and/or radishes. Wonton wrappers are available in most grocery stores now and can usually be found in the produce section. They are sold in packages of 60 and can be frozen for future use. Combine the chicken stock, a teaspoon of the ginger, a teaspoon of the garlic, and a tablespoon of the scallions in a soup pot. Put the pot on medium heat and bring the broth to a gentle boil. In the meantime, add the canola oil, the sesame oil, the remaining ginger, the remaining garlic, the remaining scallions, and ¼ teaspoon of sea salt to a sauté pan. Cook on medium low heat for four minutes while stirring frequently. Add the cooked vegetables to the ground pork in a mixing bowl along with the soy sauce, the egg white, and the Sriracha sauce. Mix well. To make the dumplings, start by placing a wonton wrapper on a floured surface. Dampen the edges with cold water. Place one tablespoon of the ground pork mixture in the center of the wonton wrapper. Gather the sides of the wrapper over the filling to close completely. Press and twist to seal the wrapper over the center. Repeat the process until all of the pork mixture has been used up. 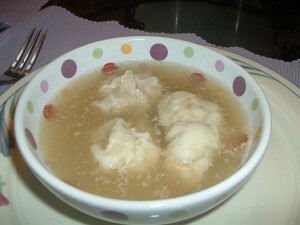 Place the filled dumplings in the boiling broth. Cook while stirring gently and occasionally for five minutes. Taste a dumpling to make sure that the pork has been cooked through. Turn the heat down to low and cover until you are ready to serve. 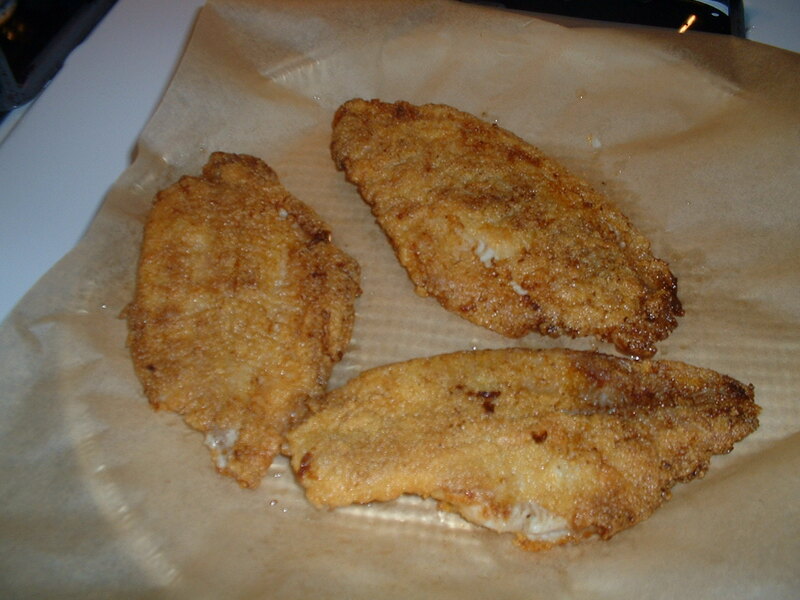 I use canola oil for frying to lighten up this recipe. Combine the buttermilk, the hot sauce, and ½ teaspoon of sea salt in a large bowl. Whisk well. Add the catfish fillets. Let the catfish marinate in the refrigerator for at least one hour. Combine the corn meal, the flour, and the sea salt on a large plate. Mix well. Heat the canola oil on medium high heat in a 14 inch non-stick skillet until the oil begins to smoke slightly. Dredge the catfish fillets in the corn meal/flour mixture until well coated. Shake off the excess. Place the catfish fillets in the hot oil. Cook for about 4-5 minutes on each side until brown and crispy. Drain the fillets on a plate lined with parchment paper. Serve with fresh lemon wedges or your favorite tartar sauce. If you are not serving the fish right away, you can keep the fillets warm in the oven set at 200 degrees.